This is my favorite thing this year. I made five of them and out of them all — this is the one I love. 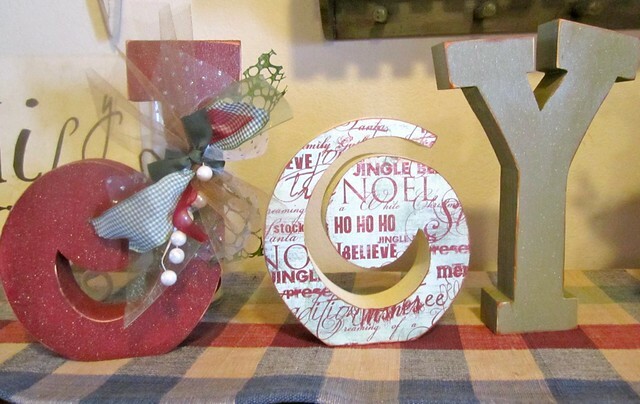 I love that it has the word NOEL on the O. I love the barn red and the sage green together. I love the bark chalk lines around the edges. I love love love it. I don’t love that the Y is out of line in this picture but I just don’t have what it takes to take another picture. It literally took me three hours to get this on here! Lots of tears and frustration!